This elegant grand dame was converted to condominiums and the Homeowners elected to restore the Belgravia to its former glory. 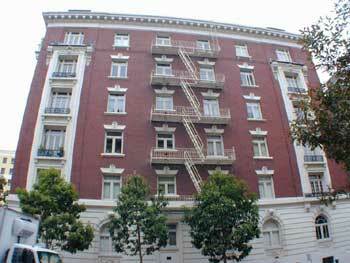 The terra cotta balconies were falling apart and presented a "falling hazard" to the public. 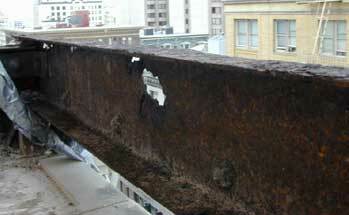 When we removed the terra cotta, we found seriously corroded steel. Everest hired structural engineers and testing engineers to design a repair of the steel and then set about preparing a budget for the project. Our problem - replacing the balconies with terra cotta was beyond the budget of the HOA. Our solution - replace them with glass fiber reinforced plastic (GFRP) - lightweight, durable and easy to install. The result - the first balcony is installed and from the ground it is impossible to distinguish the GFRP balcony from the original terra cotta. This project also involves a complete repainting of the building and structural repair of corroded steel lintels and window headers.